Prior to joining UK, Allan was the John E. Pearson Endowed Associate Professor of Marketing and was promoted to the rank of full professor with unanimous votes in 2017 at the Texas A&M University. He received his Ph.D. in Business Administration (Marketing concentration) from the University of Minnesota (Twin Cities), his M.A. in Applied Linguistics from Zhejiang University (Hangzhou, China), and his B.Eng. (with honors) in Mechanical Engineering from Shandong University of Technology (Zibo, China). 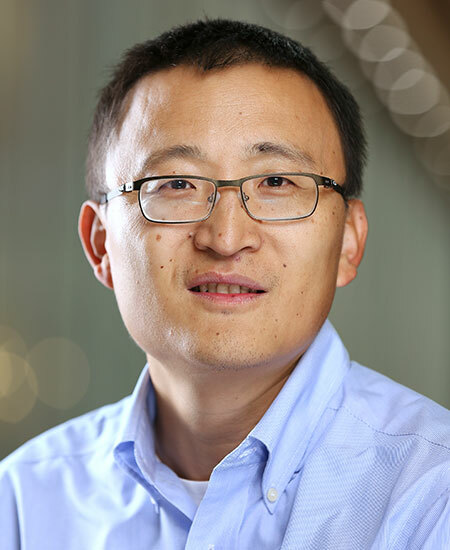 Chen conducts research in the area of Behavioral Decision Theory (BDT) and pricing. His research interests focus on examining consumer and manager decision making and behavioral strategies. His research has been published or accepted for publication in Management Science, Marketing Science, Journal of Marketing Research, Journal of Consumer Research, Journal of Marketing, Journal of Academy of Marketing Science, Marketing Letters, Strategic Management Journal, Journal of Monetary Economics, Review of Economics and Statistics, Economica, Economics Letters, Review of Marketing Research, Energy, Journal of Brand Management, and Journal of Marketing Behavior. Allan's work has been presented at various conferences, including ACR, SCP, Marketing Science, the Yale China-India Consumer Insight Conference, the Boulder Summer Conference on Consumers’ Financial Decision Making, the INFORMS-Cornell Conference on Pricing, the UIUC Pricing Camp, the NBER Monetary Economics Program Meeting, and the North American Winter Meeting of the Econometric Society. He has won various research awards, including the 2012 ACR Best Competitive Paper Award, the 2010 Ricky W. Griffin Outstanding Research Achievement Award, the Mays Research Fellowship (2007-2010, 2011-2014), the 2007 Marketing Science Institute (MSI) Young Scholar, and the 2001 ACR-Sheth Foundation Dissertation Award (co-winner of the Public Policy Track). He has also been recognized with various school- and university-level teaching awards, including the TAMU Association of Former Students (AFS) Distinguished Achievement Award in Teaching (University Level in 2016; College Level in 2012), the TAMU System Teaching Excellence (SLATE) Award in Spring of 2011, 2010 and 2009 (every time he taught when the award was instituted), the 2008-2009 Center for Teaching Excellence (CTE) Montague Scholarship, and 2004 School of Business Teaching Excellence Award (at the University of Miami). Allan is currently serving as an associate editor for the Journal of Retailing, and on the editorial review board of the Journal of Marketing and the Journal of Consumer Psychology. He served on the editorial review board of Marketing Science and the Journal of Business Research.